As a child of Colombian immigrants, Roger Severino says that he knows first-hand what it’s like to be discriminated against. “That leaves a lasting impression,” he says. 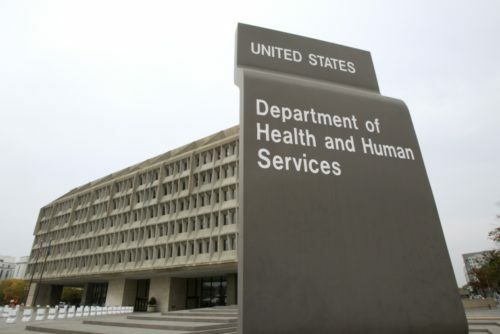 But as the head of the U.S. Health and Human Services Office for Civil Rights, Severino has decided that what he learned about discrimination doesn’t apply to LGBT people. Severino is the lawyer who is supposed to ensure that people are not denied care because of their race or gender. The Obama administration expanded the office’s mandate to include LGBT people as well. Severino is doing his best not just to undo that mandate, but to ensure that providers will be able to actively discriminate because of their religious beliefs. Of course, that means letting providers decide who is worthy of medical treatment. Severino fears for doctors and nurses being forced to do things that violate their religious beliefs. In the meantime, there’s ample proof of discrimination against patients, particularly if they are transgender. Severino has one of those below-the-waterline positions that rarely attracts widespread attention but that can have far-reaching implications on policy. By contrast, the head of the CDC is a high-profile position. The newly tapped nominee for that role is an AIDS researcher–with a controversial past. Robert Redfield is co-founder of the Institute of Human Virology at the University of Maryland School of Medicine. He’s been researching HIV for 30 years and has overseen clinical programs treating thousands in the Baltimore area and in sub-Saharan Africa. That sterling record is tarnished by a debate on how Redfield presented results from a clinical trial for an HIV vaccine while he was working for the U.S. Army Medical Corps. Critics complained at the time that the results were overstated at best and perhaps even deceptive. The Army investigated Redfield and cleared him of wrongdoing, although without explaining how they reached that conclusion. Perhaps more disturbing was Redfield’s relationship with Americans for Sound AIDS/HIV Policy (ASAP). The same Army investigation that cleared Redfield chastised him for having an “inappropriate” relationship with ASAP. ASAP, which has since changed its name to the Children’s AIDS Fund, was founded by evangelical Christians with a decided homophobic bent. “What we have here is a power struggle between homosexual white men who abuse all the government AIDS programs fundamentally to fund their subculture and their political activities,” Children’s AIDS Fund co-founder Anita Smith once complained. The group promotes abstinence as the only proper prevention behavior, condemning condoms. Redfield has his defenders among AIDS activists, but he’s in for a rough ride from the Senate. Democratic Sen. Patty Murray has said that she opposes his nomination. If he is approved for the CDC role, Redfield may fit in with the Administration all too well.